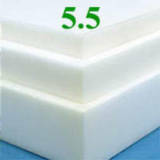 Predominantly, my website is based on reviews about memory foam mattresses. However, I’m not here to try and sell people something they may not need, so I’ve decided to include a few select reviews on mattress toppers. These are an excellent way of adding new life to an old mattress, which in turn will save you money. They’re also a great idea if you’re just “dipping your toes” in the water when it comes to memory foam technology. So whatever your reason might be for looking at this section on my website, you will find some carefully chosen mattress toppers that will either help avoid buying a completely new mattress or will give you get a taste of what I think is the best “sleeping” technology out there.